With more than 30 years of public and private company financial experience encompassing accounting, planning, reporting, M&A, treasury, debt/equity financings, tax and risk management, Heather Enderby joined MBF in June 2018 as Chief Financial Officer and serves as Chief Compliance Officer of MBF Healthcare Partners. Most recently, Heather spent over three years, as the Chief Financial Officer for Brightline, the only privately owned and operated passenger rail system in the United States connecting Miami, Fort Lauderdale and West Palm Beach. As CFO, she was charged with all financial aspects of the project’s development and operations and was instrumental in the refinancing and launch of the Brightline business. 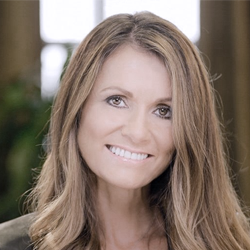 Prior to Brightline, Heather spent 17 years at Ryder System, Inc., a Fortune 500 and NYSE-listed company where, she was the Vice President and Chief Financial Officer of Ryder’s $4.5 billion Global Fleet Management Solutions Division. Heather also served as Senior Vice President of Corporate Finance for MasTec, Inc., a $4 billion NYSE-listed company. Prior to working with Ryder and MasTec, Heather worked for 10 years in audit and consulting for Deloitte & Touche LLP. Heather holds a Bachelor of Accounting Science Degree and Honors Degree in Accounting Science from the University of South Africa. She passed the CPA exam and is a Chartered Accountant.